MAIN CARD : Red Color 250 gsm Shimmery Finish Paper. 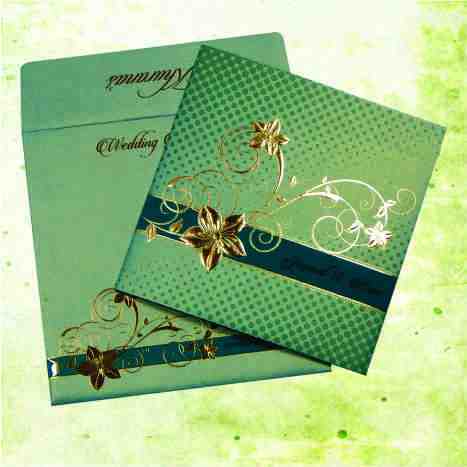 with Gold Color Printing. Main Card Nicely Decorated With Rhinestones. Main Card Has Pasted A Rounded Sticker, This Sticker Can Be Customize As Per Faith or Initials. As I opened the card, it was really an mesmerizing experience for me. The card is really amazing to let the guest know about your big day.